After a brief trip back home to NYC to finish a project for a client, I made my way back to England. 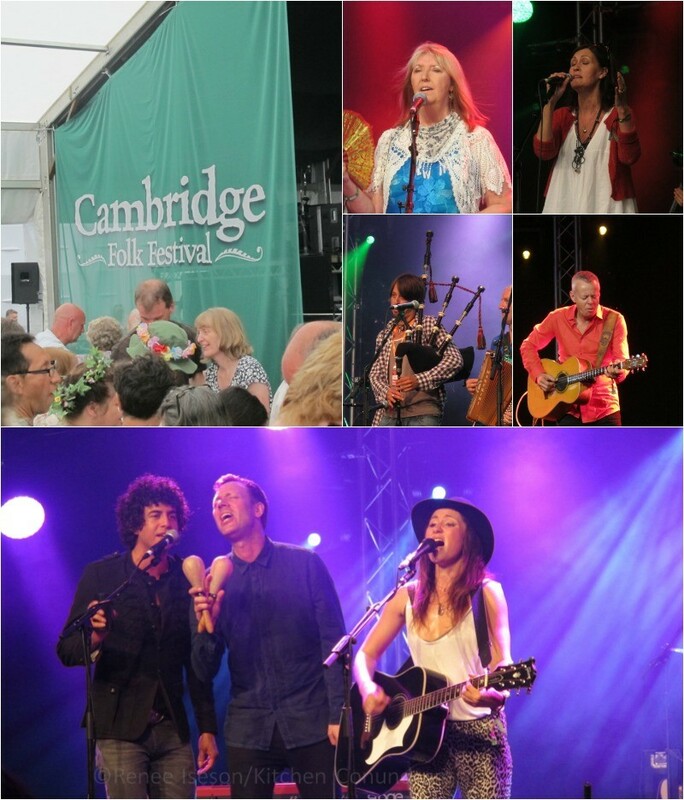 My arrival was just in time to attend the Cambridge Folk Festival for a second year in a row. 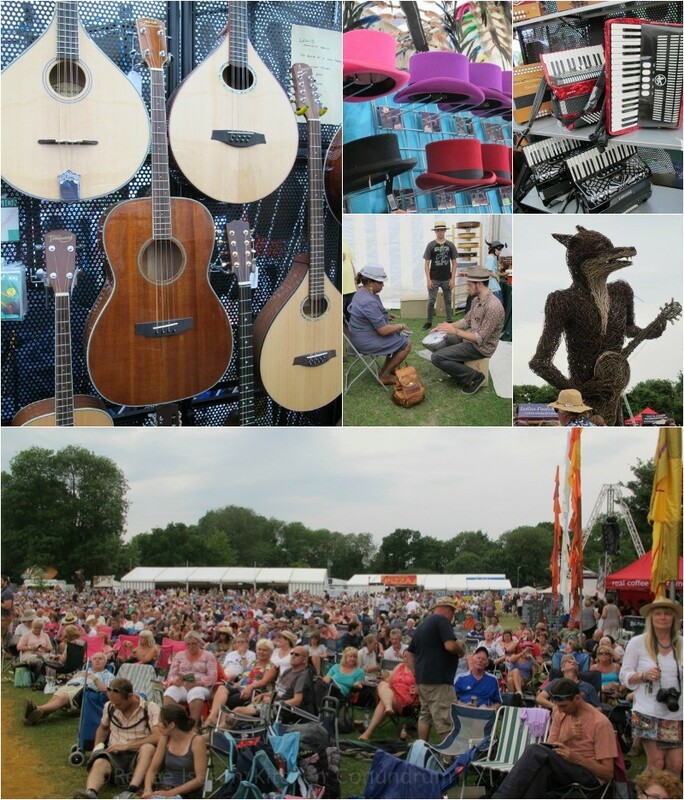 The lineup was superb with bands such as Capercaille, The Waterboys, Bellowhead, The Levellers, Tommy Emmanuel and KT Tunstall headlining. 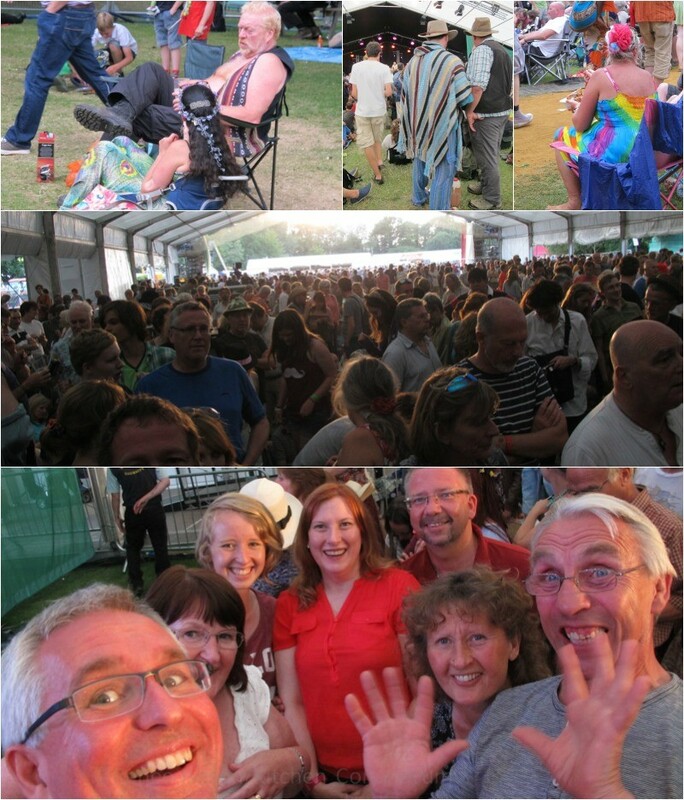 The festival is one of the highlights of my year and always has so many terrific acts performing. Last year was a special treat with Nancy Griffith, John Prine and Billy Bragg along with so many other awesome performers. Next year is the festival’s 50th Anniversary and I am already looking forward to attending and finding out which bands will be there. No matter, it is sure to be an incredible time! You have to love the laid-back atmosphere and all the festivities going on around you. There are lots of food stands to choose from including Greek, Chinese and Mexican, plus one that sells the most delicious and messiest of burgers. The crowd itself is as interesting and diverse as you can get too. I love just people watching and noting all the fashion choices. We even met up with some folks that we had met at the concert last year. It was great to catch up with them and to spend the last day of our concert together. 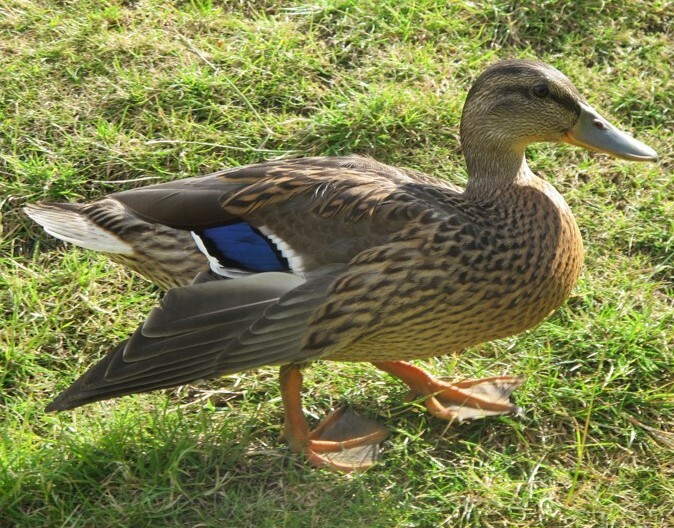 I hope that when I get back there we can all get together again. The festival is also where I discovered one of my new favorite drinks- the Pimm’s Cup. 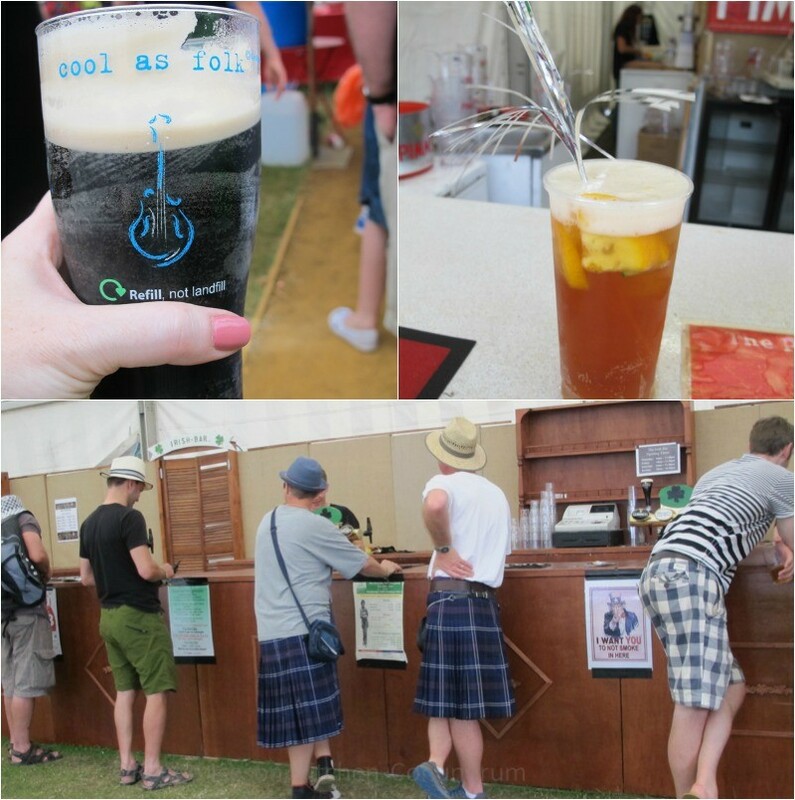 I had several over the course of the event as well as many types of ales and lagers. I really enjoy trying the different beers that are available all around England. To dispel any myths too about warm beer, not a single pint (or half) that I had was warm! After the festival ended we had a few days to putter around Ely and Cambridge. So of course we explored some dining establishments! 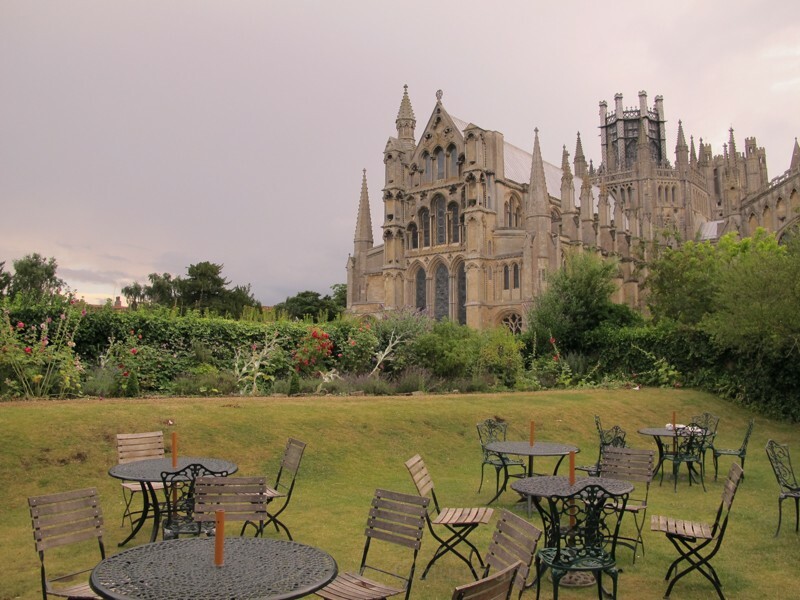 First, there was tea time at The Almonry of Ely Cathedral. While we dined outside on the lawn in the shadows of the cathedral, there is also a full restaurant inside the 12th Century vaulted undercroft. 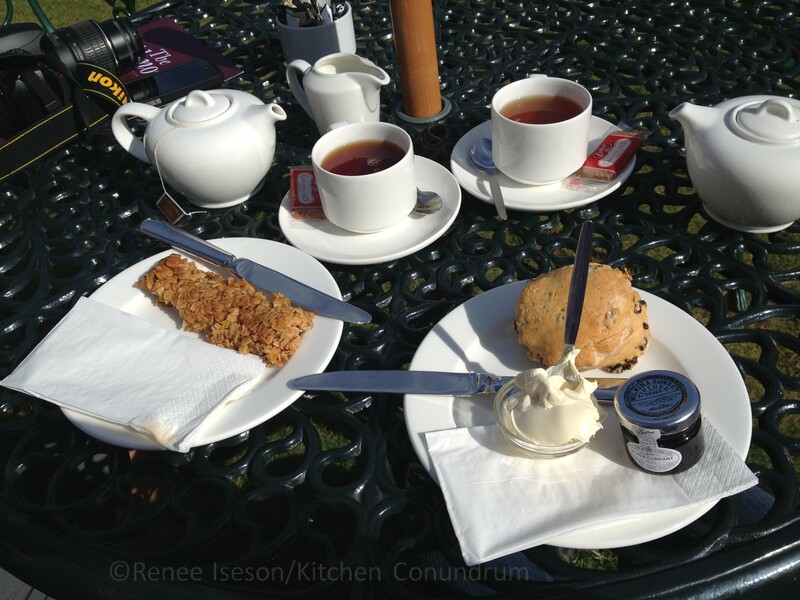 What a fabulous spot to enjoy a pot of cream tea, scones with clotted cream and homemade, sweet oat filled flapjacks that literally melted in your mouth.